The 2014 Swiss Indoors draw was released Saturday in Basel, where Roger Federer seeks to win his sixth title at his hometown tournament. The Swiss maestro is coming off his first Shanghai Rolex Masters title, which has lifted him to #2 in the ATP World Tour rankings, within striking distance of finishing the season as world #1 for a record tying sixth time (Sampras). However, the 17-time grand slam champion’s focus is on Davis Cup, as he and Stan Wawrinka will lead Switzerland against France in just about a month. In 2015: Roger Federer. Grigor Dimitrov. Madison Square Garden. Federer put in hard work with a three day camp on clay this week, and has said both Davis Cup and the World Tour Finals are his priorities; putting next week’s Paris masters in the balance as a last minute decision. Federer will open against big serving Gilles Muller in the first round, and could face another powerful hitter, Jerzy Janowicz, in the second round. Adjustments will be crucial for the 33-year-old Swiss, who will go from his clay court training this past week to indoor hard court for the next three weeks. 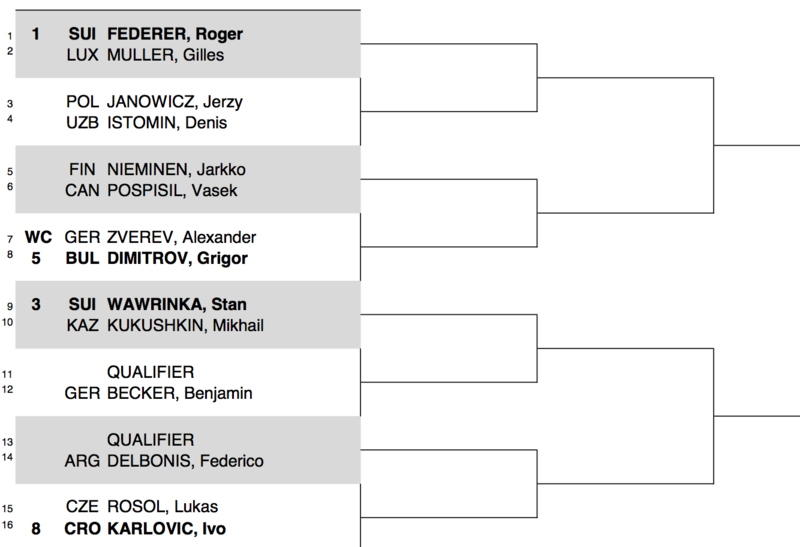 Fifth seeded Grigor Dimitrov and third seeded Stan Wawrinka are Federer’s projected quarterfinal and semifinal match-ups. 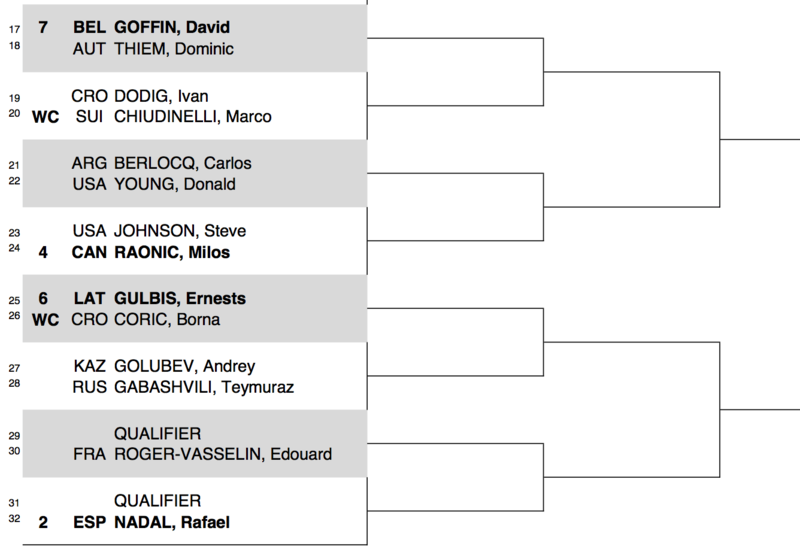 Second seeded Rafael Nadal and fourth seeded Milos Raonic lead the bottom half of the draw. View the full draw below or download the PDF version here. 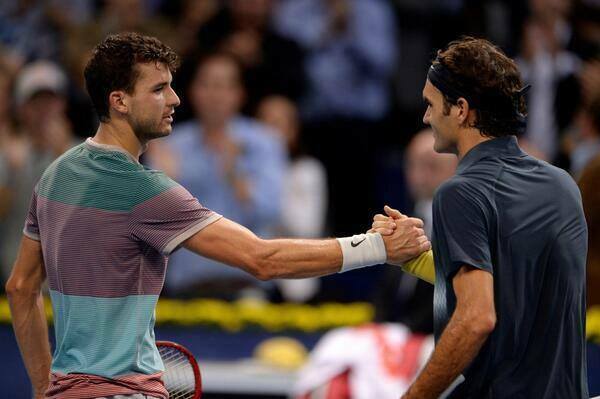 Watch full coverage of the 2014 Swiss Indoors from Basel on FedFanTV.